I get it. Authenticity is a a buzzword. One that 90% of us are tired of hearing because it's used in such an overwhelming way. But the very heart of this overly used term is really just being true to ourselves. And that's a good thing. Because when we do anything but, we end up unhappy, dissatisfied and even unwell. But that's just the bad. By being true to yourself, you're able to really move ahead in a way that will feel right. And will help you connect with the right people. That's right. By being authentic, you'll have an easier time connecting with your ideal audience. 1. People connect with other people. This is what we have on big box stores. When our viewers see us as real, living, breathing humans, they're able to connect with us in a deeper, more meaningful way. And that's important. Because emotion drives purchases. Which mean money in your pockets. Ahem. 2. Eventually we all slip up. I know it seems like we have to present ourselves as the ultimate professional or even that we have to pretend to be someone we aren't... but in the end, that doesn't serve you. Because we can all only wear a mask for so long. Eventually we slip up and that is shown as inconsistency. Which defeats a lot of the effort that you put around your "know-like-trust" factor. And I don't want that for you! 3. Being yourself is the best thing to be. Friend. You are amazing. You are capable of incredible things. You are perfect just the way you are. Don't let anyone tell you otherwise. And there is someone out there that is dying to work with you! I pinky promise. Okay. There's the quick and dirty for the week. 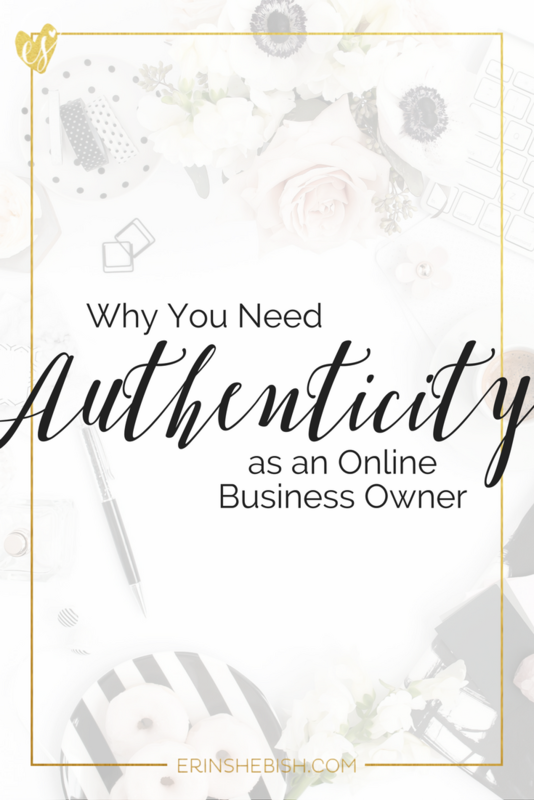 But tell me in the comments... have you ever struggled with authenticity? It's a buzzword. Authenticity. You hear it everywhere. What you may not know is that being true to yourself is one of the best ways to connect with others.